Summertime is the best! There’s nothing better than hanging out in the sunshine, getting vitamin D and enjoying life this time of year. It’s all fun and games until those darn sunspots start to appear. I get emails about this stuff every single day. 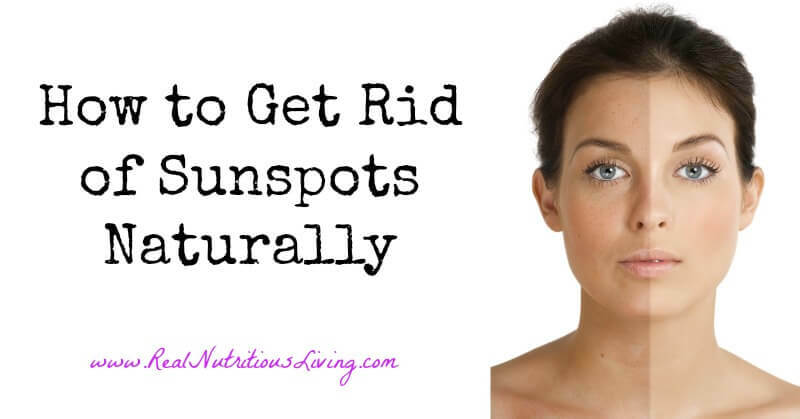 I’ve battled it myself for 9+ years and learned how to get rid of sunspots naturally. I’m excited to get to share what I’ve learned with you in the video below! Layer your sunscreen to protect your face. After my face routine, I use Beautycounter’s face sunstick, followed by the dew skin (spf 20), followed by 100 percent pure powder (spf 30). Wear hats to further reduce exposure. Use a brightening mask (like this) every other day. The day you don’t use mask above mechanical exfoliation (like this) AND add cleansing balm as an overnight brightening and mask. Check out this YouTube video I did on the cleansing balm for more information. Use a serum twice daily. My favorite is Mad Hippie C Serum. I use the Beautycounter rejuvenating radiance serum in the winter since it keeps spots down and is a powerful anti-ager! Last but not least, mix a drop of Frankincense essential oil (I get my oils HERE) into your serum or night cream. 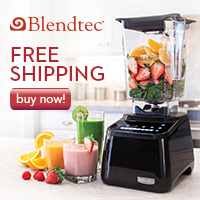 Please comment below with your tips on how to get rid of sunspots naturally. Thanks for the great ideas. 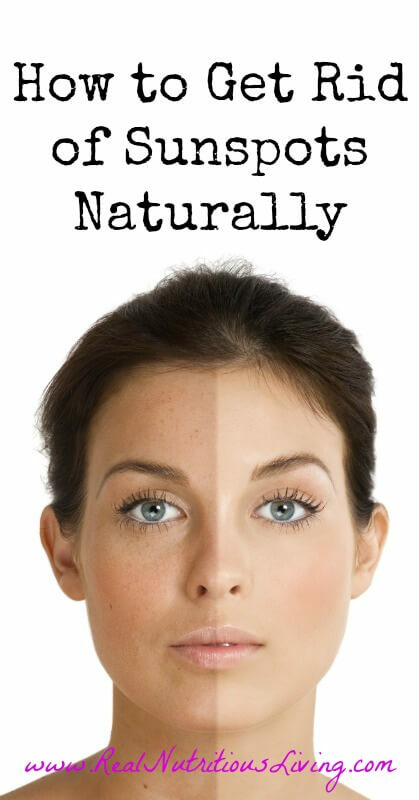 Definitely interested natural alternatives for skincare! You’re welcome Carol! Safer options are a must!